Tar sands in Trinidad and Tobago? Both local and international environmentalists have been warning against the dangers of local tar sands mining for years. Tar sands or oil sands are clay, bitumen and dirt deposits which can be mined and refined to produce synthetic oil. The report Tar Sands in T&T? A look at the dirtiest oil from Canada to T&T, written by Canadian environmentalist Macdonald Stainsby, outlines what he believes is evidence that consecutive T&T governments have planned and are planning to begin mining tar sands locally. The report also outlines the environmental dangers associated with tar sands. Stainsby has visited Trinidad four times since 2010. Kyle de Lima, of Trini Eco Warriors, who assisted with compiling the report, stands by its claims. He said tar sand mining could lead to massive deforestation and possible relocation of communities. Among the evidence cited in the report are public statements from former energy ministers Conrad Enill and Carolyn Seepersad Bachan and Prime Minister Kamla Persad Bissessar. The report also cites the reintroduction of the Royal Bank of Canada into T&T, a memorandum of understanding with an Indian energy company, Reliance Energy, for bitumen upgrading, the refurbishment of the Petrotrin refinery, the construction of the San Fernando to Point Fortin highway and the opening of a desalination plant in Point Fortin. According to de Lima, RBC is the largest financier of tar sands in Canada. Attempts to obtain a comment from RBC on any prospective financing of tar sands operations in this country were unsuccessful. De Lima said the main focus of his organisation was to educate the population and allow people to make their own decisions. There were 2,000 copies of the report printed and distributed throughout Trinidad, including to the areas in Southwest Trinidad where there are high levels of bitumen deposits. These areas include Vessigny, La Brea, Guapo and Parrylands. Yet, whether or not this evidence leads to actual tar sand mining is still up for debate. According to the report: “This is not to say all or even any of the proposed industrial projects in the southwest are specifically or even primarily for tar sands development. Ramnarine did not comment on statements made by Seepersad-Bachan or Prime Minister Persad-Bissessar. However, he said the agreement between Reliance Energy and the T&T government is no indication that there are plans to mine tar sands. Stainsby’s report used Canada as an example of some of the devastating effects tar sand mining has on communities. The Athabasca tar sands in Alberta, Canada, are widely regarded as the largest deposits of bitumen in the world. In the report, he points to the Fort MacKay and Fort Chipweyan indigenous communities which are surrounded by mining operations. In Fort Chipewyan, which has a population of 1200, the report says a minimum of two and possibly more than six cases of a rare cancerous disease, cholangiocarcinoma, have occurred. According to Stainsby, this cancer should appear only once in 100,000 people. Other cancers have also affected residents and a study by the provincial government concluded that cancer rates were 30 per cent higher than expected in 2009. Cancers are caused by the ingestion or inhalation of toxic materials used in the process of tar sand mining, the report says. These materials include arsenic, cadmium, lead, nickel, mercury and polycyclic aromatic hydrocarbons. These materials contaminate water supplies, seep into soil and are released into the air. Fort Chipewyan is 200 kilometres from tar sands operations but remains negatively affected. In the area of Southwest Trinidad, where family homes and small businesses are situated on top of and surrounding bitumen deposits, the health issues could be much more detrimental. La Brea MP Fitzgerald Jeffery believes tar sand mining is a “bad idea” due to the negative effects on the environment. But Jeffery said in an interview that he’s “weary of all these grandiose projects” which never come to fruition in southwest Trinidad, particularly La Brea. In 2006, there were plans to build an aluminium smelter plant in La Brea, which environmentalists also protested against. The plant, Jeffrey said, was one of 16 proposed projects that have failed to come through in recent years. He believes some major infrastructural project is necessary to alleviate unemployment in the area, however. A resident of the La Brea, Travis Joseph, said there should be a balance between developmental needs and environmental sustainability. Although Joseph said he still needed more information about tar sands before making a decision on its viability, he compared this to the proposed smelter plant. “My initial thought about the smelter was that smelters in other parts of the world are away from human occupancy so that they pose little stress to human life,” he said in an interview. “We can’t contain a tar sand mine in Trinidad and we need to understand the process. The solvent that they add to the tar sand brew when they’re making it is extremely toxic and we don’t have the aquifers in the area to offset it and provide clean water. It (tar sands) can present a very serious threat to the area,” he said. 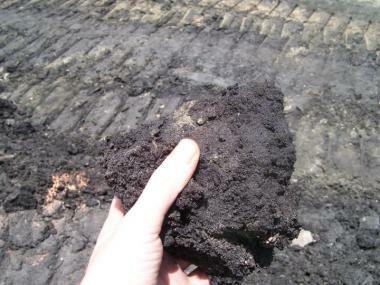 Tar sands or oil sands are bitumen deposits mixed with clay and sand. Bitumen is a black viscous obtained naturally or as a residue from petroleum distillation. Tar sands can be mined in two ways. The first is a low impact surface mining. The second is called in-situ. In-situ is primarily a process called Steam Assisted Gravity Drainage. In this process, areas are cleared of forest coverage then suctions off water from the surface area. After all water is removed, “overburden” or soil, roots etc, are removed and collected. The bitumen is extracted (digging can get as deep as 600 feet) and taken to a slurry. The slurry uses natural gas to heat fresh water and mix tar sands until the clay and dirt are separated from the bitumen. It is estimated that three to five barrels of fresh water are contaminated during the production of one barrel of synthetic oil. In February 2009, then energy minister Conrad Enill announced that Cabinet had agreed to give Petrotrin license to explore tar-sands in south Trinidad. Estimates suggested that almost two billion barrels of crude oil could be extracted from the existing bitumen deposits. In a February 2011 address at the opening of the National Energy Policy consultations in Sangre Grande, then energy minister Carolyn Seepersad-Bachan mentioned tar sands as a viable solution to increasing crude oil production in T&T. In the address, she acknowledged the environmental challenges to tar sands, but noted that there were international examples of safe mining. In July 2011, the National Gas Company and the National Energy Corporation signed a memorandum of understanding with Reliance Group, of India, for a bitumen upgrading plant to produce synthetic crude oil. The proposed site for the plant was the La Brea Industrial Estate. At the Summit of the Americas in Columbia in April 2012, Prime Minister Kamla Persad-Bissessar participated in Caricom-Canada talks with Canadian Prime Minister Stephen Harper. On her return from the summit, Persad-Bissessar said the government was looking into a tar sands venture in which Canadian expertise would be applied. Three weeks after Persad-Bissessar’s announcement, environmentalists warned against the dangers of tar sands. Trini Eco Warriors hosted the first of four seminars on the issue in Chaguanas. Macdonald Stainsby presented at the seminar. Environmentalist Dr Wayne Kublalsingh also spoke out against Government plans for tar sands. In July 2013 a desalination plant opened in Point Fortin. Environmentalists such as Kyle de Lima believed this was a sign that tar sands projects were in the works. Desalination plants could provide the heavy water supply needed to refine bitumen found in tar sands. Protests against tar sands have grown in various parts of the world, but mainly in Canada and the US. Most recently, four members of the Michigan Coalition Against Tar Sands were arrested and are facing felony charges for their protest action. The protestors go to court next month. In June, the UK Tar Sands Network hosted a demonstration during the visit of Canadian Prime Minister Stephen Harper to England. Earlier this month, protestors demonstrated at Sebago Lake State Park in Quebec, after a train carrying crude oil from the northern US exploded. The protestors want to put an end to transpiration of crude oil and drew attention to the threat posed to the Sebago Lake and park. To find out more about the global movement against tar sands, you can visit Stainsby’s Web site: www.oilsandstruth.org. You can also follow “Trini Eco Warriors” on Facebook.